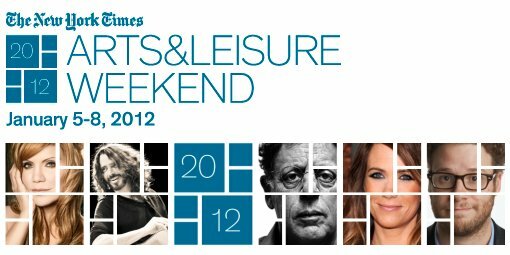 It’s been a little while since I’ve written about the NYTimes Arts & Leisure Weekend (about a year I guess), but this coming weekend (January 5-7, 2012) marks the return of the newspaper’s annual gabfest. This schedule actually looks pretty enticing this year (David Cross, Errol Morris, Kristen Wiig, Paul Feig and the venerable Clive Davis), and if you’re interested in going to something, you can try the code NYTSUB to get $5 off a talk. View the full Arts & Leisure Weekend schedule after the jump.